People with visual impairment will really like this application. Similar to the magnifying glass/expander included in Windows, but much more advanced and powerful. 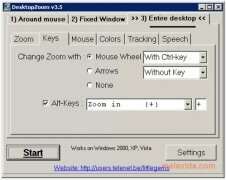 DesktopZoom is capable of expanding any area of the screen much more efficiently. 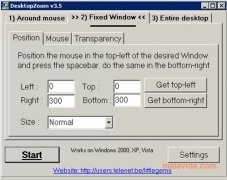 Where the Windows expander occupies a big part of the desktop, DesktopZoom is an application that can be moved to anywhere on the screen, furthermore, it allows its own screen to be transparent (configurable by the user) and improves the vision both expanded as well as the normal text, because even though the expanded area occupies a large part of the screen, we can still see what it's "covering". 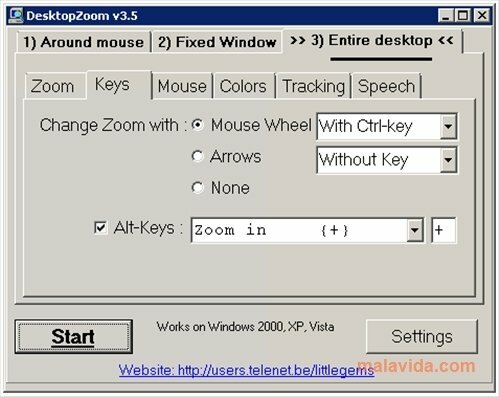 Furthermore, the program allows several expansion possibilities, following the mouse, a fixed position or expanding the full desktop. All this in a small program that allows to quickly modify the options and that, by only pressing Start, will be applied and can be used. 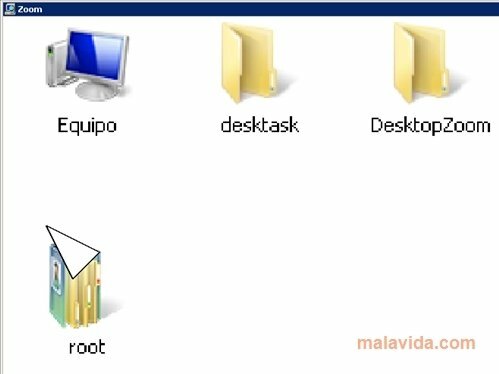 To sum up, a very interesting application if you need to expand an application or place special emphasis on a certain area of the desktop. 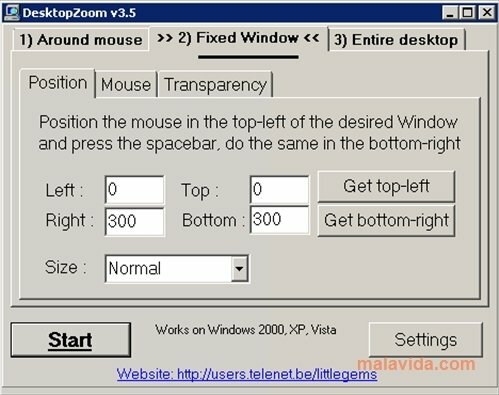 Only works with Windows XP or above only. This download requires a ZIP compatible compressor.